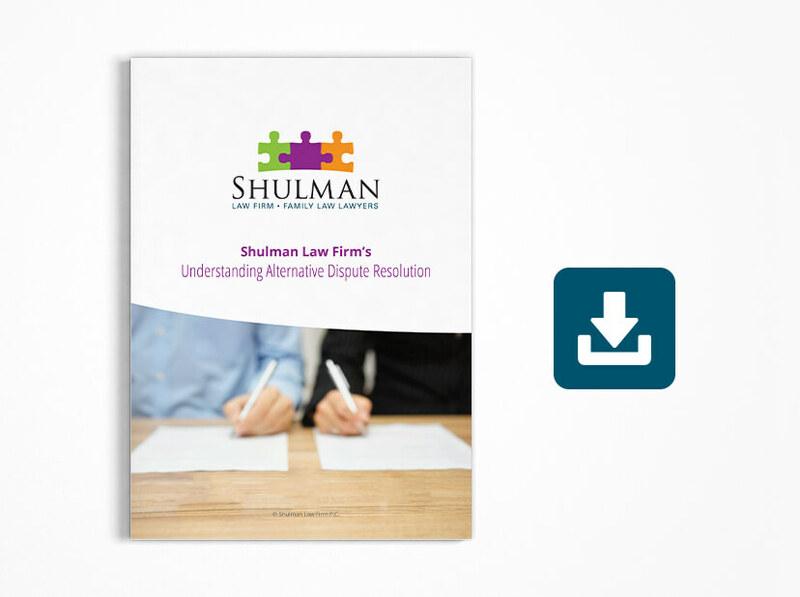 A separation or divorce does not have to be adversarial. Conversely, an amicable resolution does not necessarily mean waiving your rights. Our family law lawyers are experienced in striking a delicate balance between guiding our clients to an amicable resolution and fiercely protecting your interests. Not every ADR method is appropriate for every case. While the goal of ADR is always to achieve an amicable resolution, it is important to utilize the right avenue to ensure that your interests are protected. You can rely on our lawyers to guide you through the process with knowledge, skill, and confidence. Our initial consultation is absolutely free of charge. You will meet with one of our family law lawyers to discuss your case and your objectives. Together you will develop a strategy and decide on the correct approach to resolving your case in an amicable fashion. When you leave our offices you will know where you stand and feel confident that our team has the experience and the skill to achieve the results you are looking for.